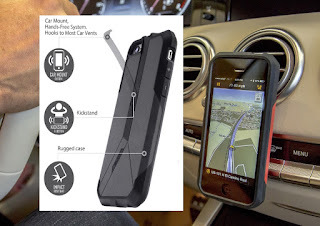 It is the only cell phone case on the market that is designed to protect both the phone AND motorists who use their phones for navigation while driving. 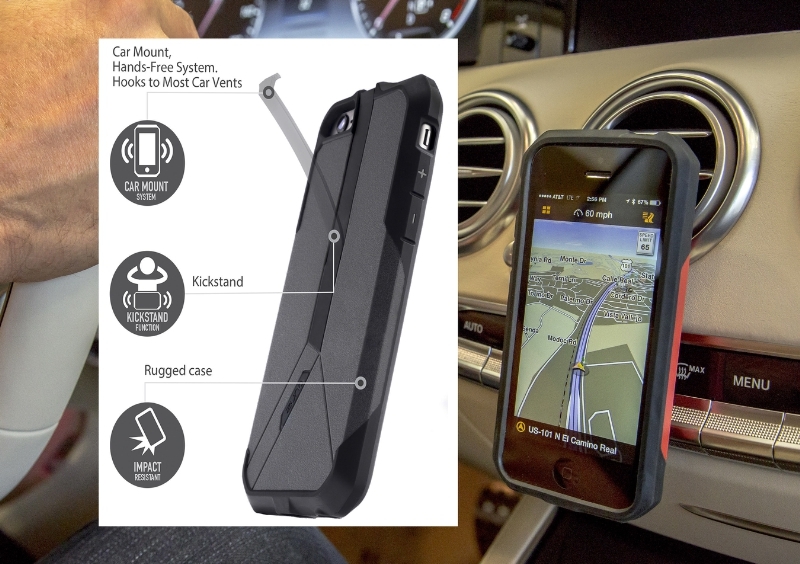 The clever design of the Zuna Drive combines a sturdy, impact-absorbing phone case with a unique built-in mounting clip that attaches the phone seamlessly to most horizontal A/C vent of a vehicle with the added feature of a kickstand with the assistance of a business card or credit card. The Zuna Drive secures the phone in place for navigation without a bulky cell phone mounting appliance that can block a driver's view or additional mounting devices for your case. The patented design helps ensure that the phone stays in line of sight allowing drivers to navigate via GPS, or easily and quickly accept a hands-free call. The product helps prevents against distracted driving by keeping the eyes of the driver on the road ahead and keep their hands on the wheel not on their phone. Unlike bulky mounting devices that are attached on the dashboard or windshields mounts which is illegal in most states, Zuna Drive is easily removable and can travel with the user from vehicle to vehicle. ZUNA introduces ZUNA Drive for iPhone 6/6s, 6/6s Plus and 5/5s. Take ZUNA Drive for a drive! The added features Zuna Drive include a durable impact resistant case that protects your phone from most accidental drops onto hard services. With use of a business card or credit card you can also use the case as a kickstand for viewing pleasure. The Zuna Drive is available for iPhone 6/6s, iPhone 6/6s Plus, iPhone 5/5s and later this year the Samsung Galaxy. The product weighs just a few ounces and comes in three colors: black, blue, orange. 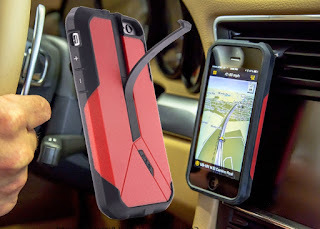 0 comments on "Zuna Drive cell phone case protects smartphones & promotes safer driving"